The Bridge Division of the Public Works Department maintains the structural integrity and safety of all bridges, walls, public stairways, guardrails, and miscellaneous structures in the city street and county road right-of-way. Bridges are inspected annually to assure continued safety of the structures and to schedule structures for maintenance, repair, and/or replacement. 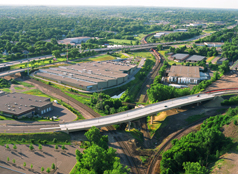 The Minnesota Department of Transportation (MnDOT) is responsible for inspecting and maintaining all freeway and state highway bridges. 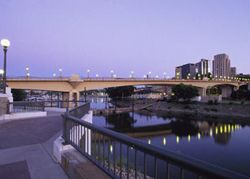 Bridges are thoroughly inspected annually for safety in accordance with State and Federal laws.